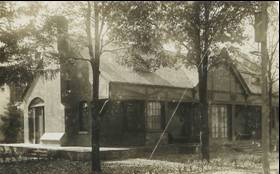 The Romeo Public Library was organized by the Romeo Book Club and the Romeo Monday Club in 1900 and was maintained by them until 1908 in the Kezar home at 180 Church St., Romeo. In 1908, a resolution was put before the voters calling for the establishment of a library under the provisions of state law. The resolution was passed by a large majority and the Village appointed a provisional board of trustees to serve for one year. The first library was set up in a room adjoined to F. P. Smith’s Drug Store on the east side of Main. Mrs. Ella Smith was the first librarian and served until 1919. Mr. Kezar died in 1898 and was buried in Romeo. Not long after that, his widow and daughter moved to San Francisco, California. The Kezar home was sold to the Bedell family, whose daughter, Julia Dodge, served as long time librarian, from 1963-1980. 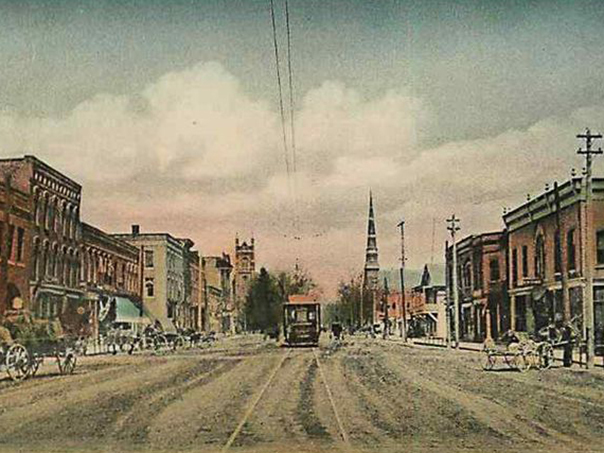 During the winter of 1909-1910, Mrs. Nancy H. Kezar and her daughter, Mary A. Kezar indicated through their agent, H. B. Phillips, their plans to give a library building to the Village of Romeo. The gift was gratefully accepted. Mr. Bedell recommended that in transferring the property, the deed should be made out to the Library Board of the Village of Romeo and their successors. An additional provision was made that if at any time the building was no longer used for library purposes, the gift would resort back to the heirs of the donors. The building was designed by well known library architect, Henry D. Whitfield, the son-in-law of Andrew Carnegie and was created “to be homelike, a restful retreat for book lovers, old and young.” The building was constructed by A.H. Robertson at a cost of $8,000.00 and was paid in gold coins! 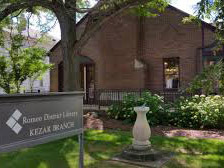 On February 6, 1911, during a “severe snow storm”, members of the community came to the dedication exercises to not only see their new library but to show their appreciation to the Kezars for their generous gift. With only 871 books to fill the shelves of the new library, an appeal to residents to help round out the collection was overwhelming. Mr. Henry Glover Stevens of Detroit, a collector and philanthropist, donated a collection of books valued at over one thousand dollars! In 1964, the Library joined the Library Network of Macomb County and in 1969, after a resolution passed by each of the three communities of Washington, Bruce and Romeo, the Romeo District Library was formed. March of 1971 saw the dedication of an addition to the Kezar Library that was funded by a Kresge Foundation grant, federal monies and local donations for a total of $154,695.00. To accommodate the growing communities that the library services, in 1984, the children’s area is moved to the basement of the Kezar Library. 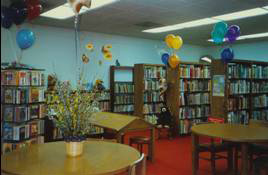 However more space is still needed to respond to the needs of patrons and in 1991, a new branch was opened at the Washington Twp. offices. 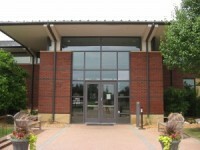 In 1996, voters approved a library bond issue to build a new library. Long time board member, Roland Graubner dedicated the land where the Graubner Library now stands. The building is suggestive of the Frank Lloyd Wright Prairie style and features an outdoor sitting area and a children’s area with complete with 7 foot tall wooden fruit trees that honors the orchard that the library is now built upon. After years of planning, the Graubner Library was dedicated in March of 2001. 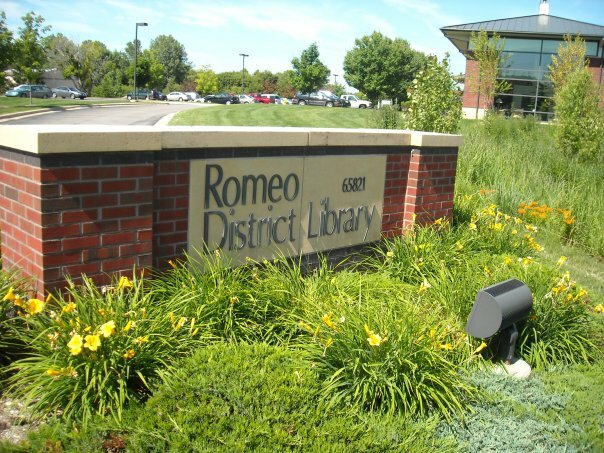 In the years since, both branches of the Romeo District Library have continued to serve the Village of Romeo and its surrounding communities. It is a testament to the hard work and dedication of the Library board, staff and the three communities of Washington, Bruce and the Village of Romeo that the library continues to “…prove worthy of the confidence” bestowed on the community by the Kezar family.